Clematis are the royalty of climbing plants. With their sumptuous flowers, long season of bloom, and attractive seedheads, they are eagerly sought by almost every gardener in the temperate world. 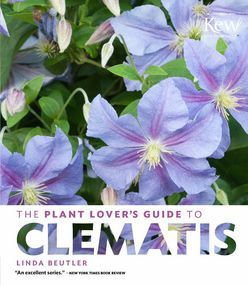 The Plant Lover’s Guide to Clematis by clematis expert Linda Beutler includes information on using the plants in the garden, designing with them, and growing and maintenance tips. A plant directory highlights 196 of the best cultivars and species. A comprehensive guide to growing clematis, with cultivation advice, design information, and plant picks.